Get tour-proven technology in an approachable package with the TaylorMade Project (a) Golf Balls. Featuring a dual-core design, the Project (a) uses a large and soft inner core for reduced driver spin and improved feel. When I see something called Logo, I expect the logo of a company, sometimes a group or similar. 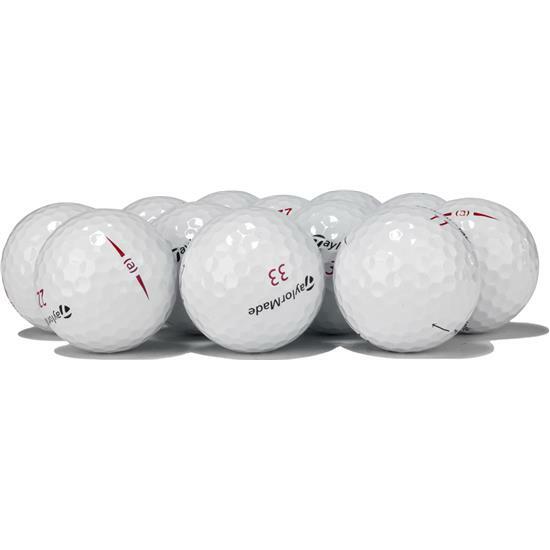 These logos look to be designed and printed on by Golfballs.com in order to sell them at a lower price. They aren't logos in my book, they are phrases which don't make a lot of sense to me. This isn't a problem, but not quite what I was expecting. They will still help to identify my ball from others in the group. I was originally given a couple of sleeves of these balls and loved how they feel and play - actually preferred them to Pro v1s that I normally use, so I've bought some more and immediately put them in play. For the average golfer like me these are well worth trying. Personalized Balls at a great price. 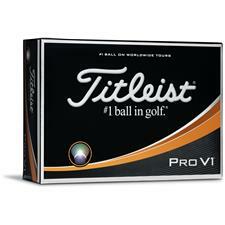 You can buy new balls anywhere, but to get them personalized and still pay less than in the store, why go to the store. Easy Peazy.